The music in this Soundtrack is not the kind of music you can buy at your local CD store. Most of it doesn’t exist on CD, and much was never released at all. I cannot keep all music available on this site for ever, and I cannot share with you as much as I would like to, but today I uploaded my first zip to zSHARE. With a little extra effort, you can from now on hear more of the music that I describe, and in a better sound quality. 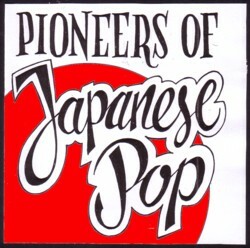 To celebrate this, I choose the fifth generation tape that I mentioned a few days ago, with the Japanese 78rpm records. Here is another track from this beautiful mystery cassette, which has Persian picknick for a working title.